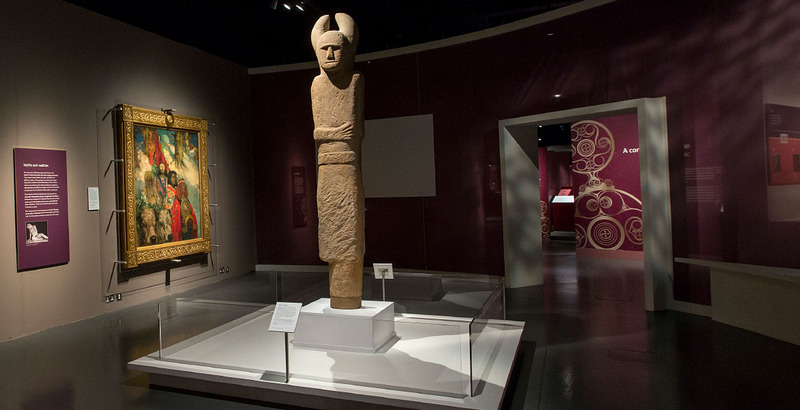 Design of major summer exhibition at the National Museum of Scotland, organised in partnership with the British Museum, which unravelled the complex story of the Celts through the extraordinary art objects they made and used. 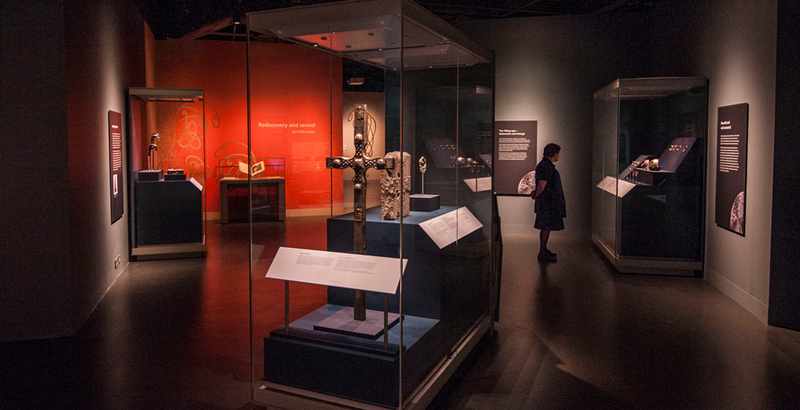 Featuring more than 300 treasured objects from across the UK and Europe, the design of the exhibition took visitors on a fascinating journey spanning 2,500 years. 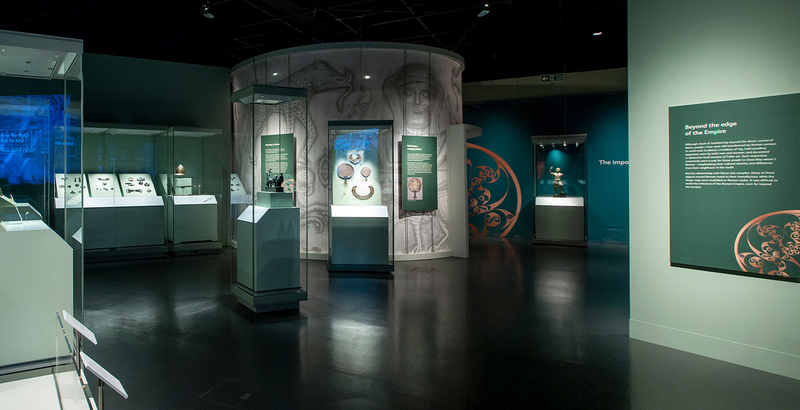 From tiny, intricate, carved brooches to an enormous replica chariot, our exhibition design brought drama and emotion to the story. Our work involved exhibition space planning, concepts, 3D exhibition design, case layouts, object mounting, graphic design, typography, wallpapers and lighting design. The exhibition was supported by a 300-page catalogue, AV film and interactives. The Gundestrup cauldron was one of the exhibition highlights. to circulate on all sides, giving the object a sense of majesty. It is beholden upon all of us to go… and allow the majesty of what is on display to captivate us and transport us to another time. Sightlines were set up on axis to create a sense of anticipation. framing a key view of this Celtic sculpture. 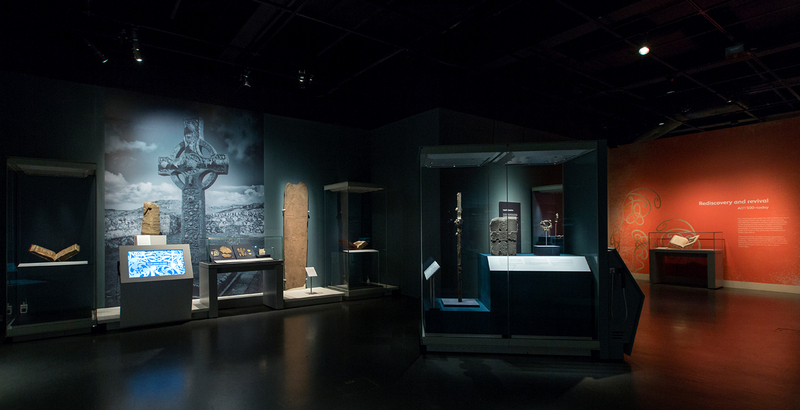 and referenced the material culture of the Celts. highlighted objects from the monumental to the miniscule. the monumental Celtic art which was created within the landscape.